Hi Everyone! I’ve really disappeared from here for awhile now, haven’t I? I have to admit, it’s been kind of nice to go through our days without my "bloggles" (blogging + goggles) on. I have hardly taken any pictures or thought about whether or not I should be blogging something from our day. I think I needed a little break and now I’m feeling much more fresh and content. We finally brought in the Christmas tree last night. In our little living space it took a lot of rearranging and removing to find the perfect spot for it. Emma and I were the tree purchasers this year. We got it on whim Saturday night while we were running to the yarn store and out for groceries. Can I just say how hard it is to pick out a Christmas tree with a five year old? She tried her hardest to hold the big old prickly tree steady while I assessed uniformity of shape and gaping holes in each specimen. In the end it was a toss-up and we both just said, "let’s go with the first one." I don’t think we did too bad in the end. As always, I’m still blogging my heart out every day over at babycenter…and they’ve asked me to do a weekly "craftyblog round-up". So if you’ve seen something that must be shared or you’re doing something that must be shared, please send me an email, so I can give it due credit. Babycenter is really digging the crafty blog world. And I’d love to share some love over there….And here’s a recent post that I think many of you would "get". I’ve declared this the week of the cookie. I plan to bake a batch or two each day with the girls to give out as gifts. Although I’m quickly running out of time today since everyone in the house is napping–even the dog by the fire, and the cat in a mountain of pillows on the sofa. Today it will be the classic peanut butter kiss cookies and maybe some russian teacakes if there’s time. Off to get my kitchen set up cooking-show style (makes it easier with my children) and upgrade my popcorn stash. More soon, I hope!!! I have always found it easier to string popcorn that is a little stale. At least a day old. It keeps the fluffy part from breaking apart. peanut butter kisses! they just came out of the oven. not ten minutes ago. i kid you not. and i just stopped myself from eating a third. for now. 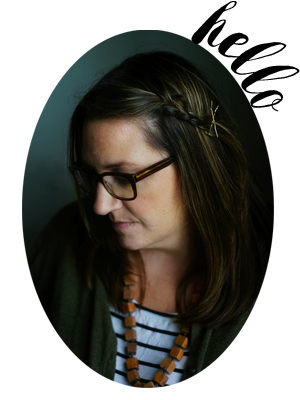 Check out what’s going on at http://belladia.typepad.com/bella_dia/ daily craft ideas as well as a daily book highlight, good stuff.This is cookie week for us as well as we are so far behind on the baking! !Popcorn and cranberries comes this weekend, today was paper chains. Try using a tapestry needle (blunt point, huge eye) with the kiddos. Becca does fine with it, and Jess gets to bring the berry (or in our case, pom-pom) down to the end and also gets to pick out the next thing to string. Works out great! I haven’t strung popcorn yet and meay never get there. I have periodicall kept popcorn in the freezer to extend its freshness. Your popcorn is too fresh..let it “age” for a day or two. And the big blunt tapestry needles work well for those little paws. Good luck! enjoy the season with the bloggles off! How funny, I just put cranberries on my grocery list so the kids and I could string some popcorn and berries. I’ve never done it before, but after reading “A Prairie Chistmas”, Aidan is very interested in giving it a try. Have fun making cookies and don’t eat too much dough.